Progressive Charlestown: Now China and Saudi Arabia collusion with Trump campaign? 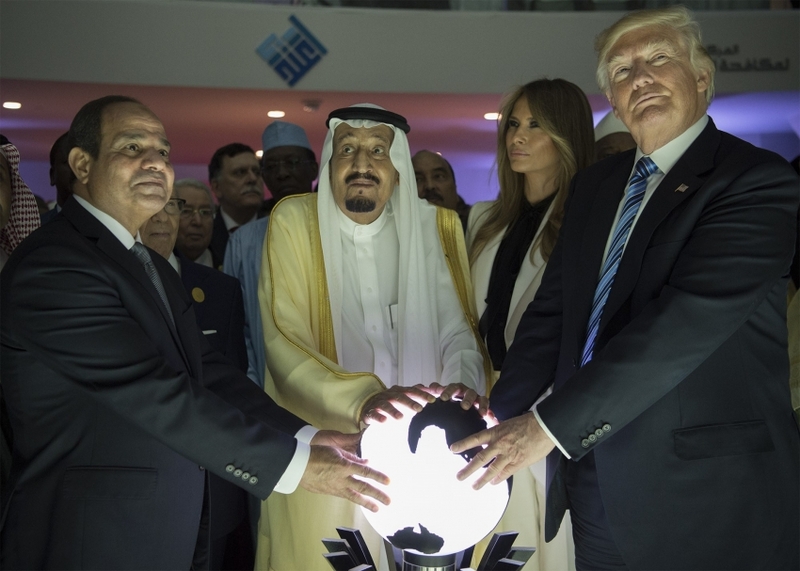 Now China and Saudi Arabia collusion with Trump campaign? The Washington Post reported in August that the Justice Department was investigating Broidy. The sealed warrant offers new details of federal authorities’ investigation of allegations that Broidy had attempted to cash in on his Trump White House connections in dealings with foreign officials. It also shows that the government took a more aggressive approach with the Trump ally than was previously known, entering his office and removing records — just as it did with Trump’s personal lawyer Michael Cohen. The warrant, filed in July 2018, targeted Broidy’s office in Los Angeles. The scope of what authorities were seeking was broad. They planned to seize any evidence related to a list of dozens of people, countries and corporate entities, according to the warrant. Among the names on the list are Rick Gates, the former Trump campaign official who has pleaded guilty in the Mueller probe; Colfax Law Office, the firm founded by Robin Rosenzweig, Broidy’s wife; and several foreign countries. Broidy, an investor based in Los Angeles, pleaded guilty in 2009 to charges connected to his role in a major New York state public corruption and bribery case. But after backing Trump for president, he saw his star rise again. After the inauguration, he played a central role in filling administration vacancies, according to reports by ProPublica and others. In a separate filing in November, the Justice Department alleged that Broidy was paid by Low to lobby Trump administration officials to ease off on U.S. investigations into Low. Broidy is not identified by name in the filings, but he is widely reported to be the person referred to as “Individual No. 1.” Broidy has not been charged with a crime, and it’s unclear what the status of the investigation is. The New York Times reported last year that Broidy worked with Nader to steer the White House toward decisions benefiting the UAE and Saudi Arabia. Documents reviewed by the Times showed that Nader tempted Broidy with the prospect of more than $1 billion in contracts for Broidy’s private security company. Hacked communications showed Nader praised Broidy for “how well you handle Chairman” — a reference to Trump. There is a company by that name incorporated in Miami Beach by a Joel Rousseau, who is a friend of Michel’s. The search warrant does not describe Rousseau or Intelligent Resources’ role in the case. Rousseau’s Instagram account shows him bouncing from Rio to Paris to Ibiza, frequently surrounded by models. In another series of pictures, he is at an oil site in Haiti with workers he describes as his drilling crew. Rousseau made a foray into politics in 2012 when he donated tens of thousands of dollars to several Democratic Party groups. The address for Intelligent Resources is a house on Miami Beach’s exclusive Hibiscus Island. The person answering the door at the house last week told a reporter he had rented the house on Airbnb. Rousseau didn’t respond to requests for comment.